Before this week, one of the amazing item that you can find in Japan but not Malaysia is their eye drops called Rohto. Since I start reading Japanese fashion magazine, I found that the models recommended Rohto eye drops so frequently that almost everyone of them carry a bottle of Rohto eye drops with them where ever they go. After all these years of waiting, Rohto has finally arrived in Malaysia with the 1st cooling eye drops in Malaysia market. Finally I felt relate to all those Japanese models already! 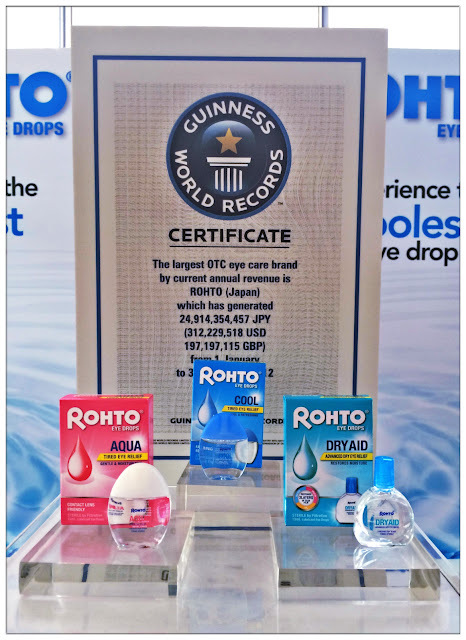 Founded in year 1909, Rohto is world's largest eye care brand as well as number 1 brand of eye drops both in Japan and worldwide. 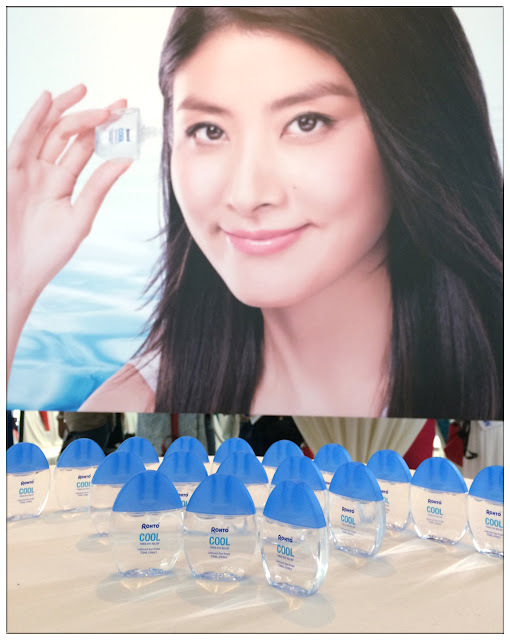 This time with the unique cooling sensation, Rohto has launch a series of sensational eye drops in Malaysia market for the first time. Rohto Cool (Tired Eye Relief - Cool & Refreshing): Moisturizes your eyes immediately, its cooling effect will stimulate natural tear in your eyes to soothe and clear your eyes in just seconds. Rohto Aqua (Tired Eye Relief - Gentle & Moisturizing): Dryness and discomfort whether it's due to long exposure of technology devices or contact lens, this eye drop can moisture your eyes and clear up your blurry vision. Rohto Dry Aid ( Advanced Dry Eye Relief - Restores Moisture): With 3 different layers of tear film being restore, this Dry Aid effectively relieves dry eye symptoms and its advanced formula only suitable for non-contact lens user. I bet there are some people like me who thought eye drops are for people who wear contact lenses or with eye irritations, little did I know that people who strained their eyes due to long hours of digital-devices exposure and environmental irritants such as smoke, dust, haze will make our eyes weary and needed eye drops for caring our weary eyes. Rohto eye drops are manufactured under strict and super hygienic condition that all ingredients in making a bottle of eye drops are filter-sterilized whereas bottle, cap and nozzle are gamma sterilization or electron beam sterilization. Its transparent and slim bottle design is another plus point of Rohto Eye Drops as users are allowed to see if the content has changed colour or become cloudy, unlike other eye drops brands that have opaque bottle design which users cannot see the condition of contents, and probably did not noticed the changes in colour or cloudiness. 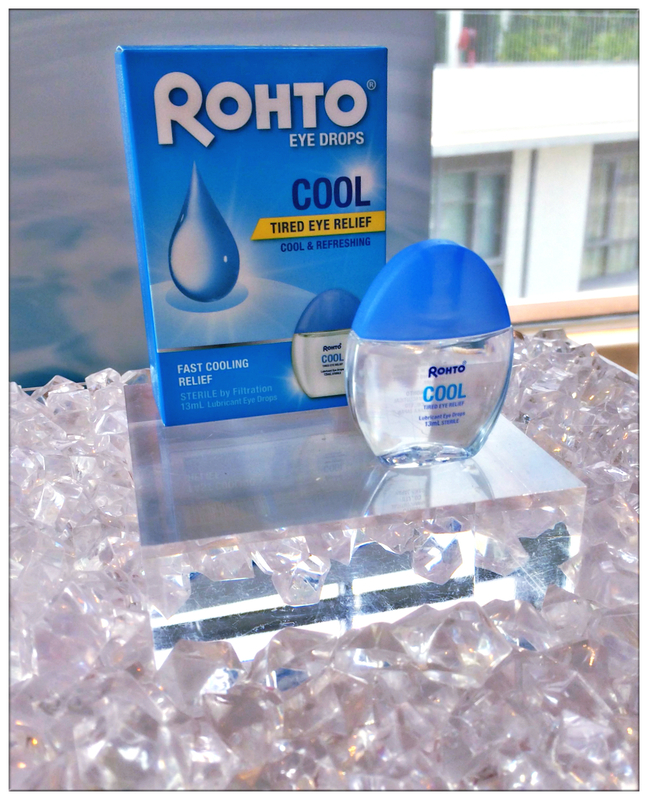 Since Rohto Cool eye drops is the first in Malaysia market which has cooling sensation, we were asked to try it out during the launch and my heartbeat goes super fast as I'm not a frequent user of eye drops and I'm afraid that the cooling sensation of Rohto Cool is going to sting my eyes badly. The fear of unknown can be quite intimidating but when I see fellow bloggers around me tried it out and claiming the cooling sensation soothes and relaxes eyes immediately, it boost my confidence to try it without fear. Nowadays, I carry this bottle of Rohto Cool around with me everywhere I go! I even urge my friends to give it a try by handling them my bottle of eye drops (A bit unhygienic to share eye drops I think but good things are meant to be shared among friends! Just make sure you clean the nozzle with clean tissue wipes) and it's so fun to see their facial expression when the cooling eye drops got into their eyes, and they loved it! Especially my mum, she asked a bottle of eye drops from me immediately! Lol. I instilled 1 drops to each of my eyes, sometimes midday noon, and most of the time is during night time when my eyes are tired and sore due to long hours of staring my phones and usage of laptop. It is the way to care my for eyes and I'm glad that now I have Rohto eye drops with me!